Spectacular Spanish home in highly sought Sunset Square neighborhood. The perfect combination of old-Hollywood elegance and modern design in this classic 3 bedroom, 5 bathroom home offering a designer done kitchen with carrara marble countertops, custom cabinetry and stainless steel appliances, newly refinished rich oak floors, an open dining room with Beverly Hills Hotel inspired alcove, graceful arched windows and front entry, sunroom with glass ceiling, luxurious master bedroom with walk-in closet and private sitting area, trellis covered deck for al fresco dining, an entertainers pool and backyard with beautifully designed studio for office or guests. Property also includes a whole-house water filtration system, electric car charger and additional storage area. An elegant and emotional residence, gated and hedged for your privacy, welcome home! Lot Size: 0.17 Acres / 7435 Sq. Ft.
SchoolsClick map icons below to view information for schools near 1542 N Genesee Avenue Los Angeles, CA 90046. Listing provided courtesy of Leslie Romenesko, Douglas Elliman Of California,. Home for sale at 1542 N Genesee Avenue Los Angeles, CA 90046. 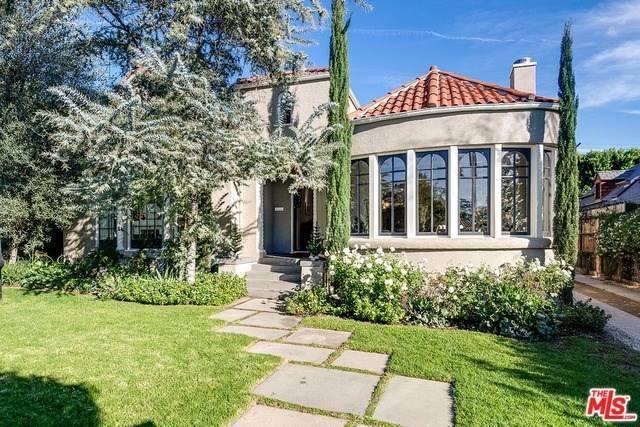 Description: The home at 1542 N Genesee Avenue Los Angeles, CA 90046 with the MLS Number 19432430 is currently listed at $2,638,125 and has been on the Los Angeles market for 69 days. You are viewing the MLS property details of the home for sale at 1542 N Genesee Avenue Los Angeles, CA 90046, which includes 3 bedrooms, 5 bathrooms and has approximately 2345 sq.ft. of living area.